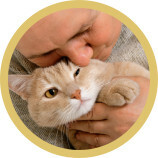 Proformance cat foods are formulated to the highest standards and produced from nature’s finest ingredients. Fortified with high quality chicken, egg and natural flavors, and produced without artificial preservatives, flavors or colors, Proformance cat foods provide complete and balanced nutrition and a taste your cat will love. at optimum dietary acidity and with magnesium levels below 0.095%. Adult Cat: Everyone’s favorite: for normally active adult cats. Kitten: Packed with nutrition and energy for that all-important first year of life. Freshway Holistic Garden Chicken formula, with nutritious fruits & vegetables.